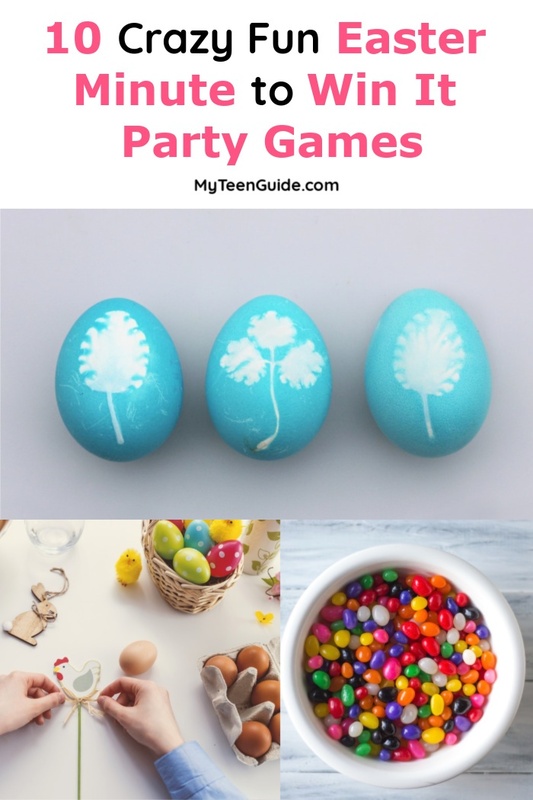 If you’re looking for some fun Easter party games, I’ve got you covered! Whether you’re having a small indoor gathering or an epic outdoor bash, these games will keep your guests entertained throughout the entire party! From quick “minute to win it” style games to ideas that last well into the night, there won’t be a dull moment! 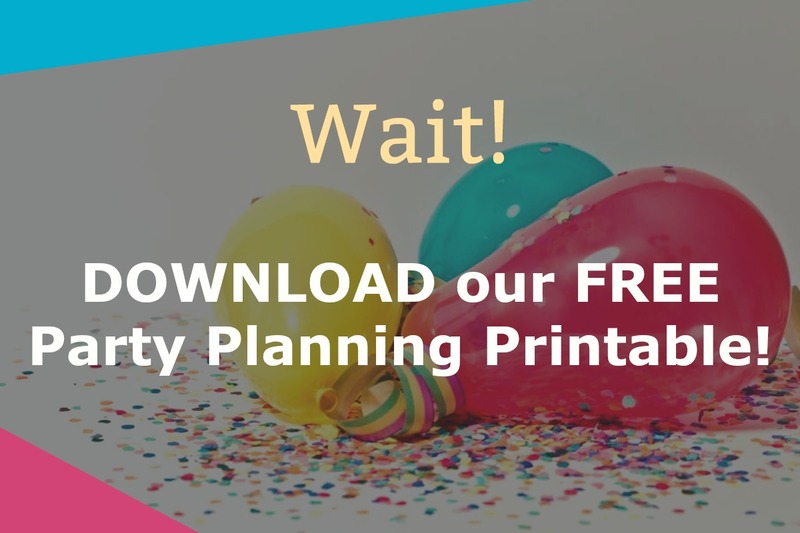 Read on for 15 crazy fun games that will have everyone talking about your party well into the summer! I’m making it easy to find the perfect Easter party games for your event by breaking this up into two sections. In the first, you’ll find some fun Easter Minute to Win It type games. The second section has longer games that can last throughout much of your party. I recommend choosing one (or two, depending on how long your party lasts) games for the “main event,” then fill in the rest of the time with the Minute to Win It Games. Minute to Win It Games are exactly what they sound like: you have one minute to win the challenge. While many of them sound super simple, when you’re racing against a 60-second countdown, even the simplest task becomes crazy hard! 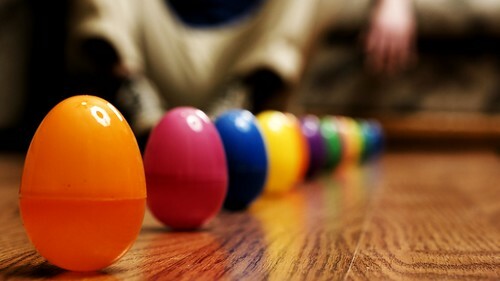 I recommended setting up about 5-10 Easter minute to win it games during your party. Let’s get started, shall we? 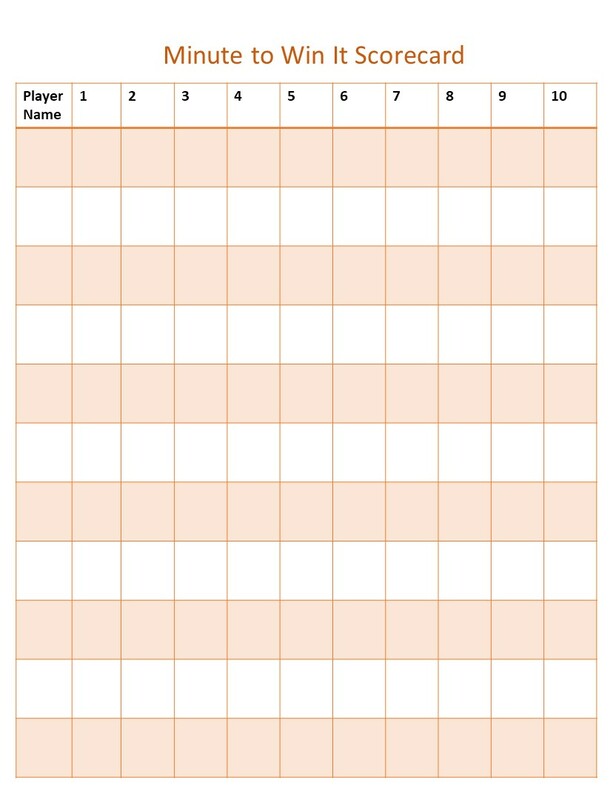 Read on after the game ideas for a free printable score card. You’re going to need good lungs for this one! The challenge: Get a plastic egg across the finish line in under minute. The catch: You have to blow through a straw to get it there! Supplies: Plastic Easter eggs , straws , and a piece of tape to mark the finish line. Set up: Just put the plastic eggs at the opposite end of the finish line, and give each player a straw. Make it harder: Blindfold the players and/or make them keep their hands behind their backs. Get ready to crack up watching everyone shake their groove thing! The challenge: Get all of the plastic eggs out through the opening in a tissue box. The catch: The box is tied around your waist behind your back, so you have to “dance” it out! Supplies: Plastic egg, empty tissue box, and something to use to secure it around the waist (a long belt, pantyhose, or even a scarf will work. Set-up: Just tape the box (or cut a slit in it and weave it through) your scarf, belt, etc. Fill it with plastic eggs. Make it harder: It’s already pretty hard, but you could demand that contestants do a specific dance (the chicken dance, for example) to make it funnier. Here’s one that sounds like something you’d do in preschool, but it’s harder than it seems. The challenge: Be the player to build the tallest tower with plastic egg halves. The catch: No catch! It’s as simple as it sounds…or is it? Set-up: Not much to do here except set out an even number of plastic egg halves for each person. Make it harder: Make contestants do it on an uneven surface, like the grassy ground or your carpet. You can also make them follow a certain color pattern to slow them down even more. Another game that takes inspiration from your toddler years! Let’s see how well you remember matching games! This one is inspired by Group the Loop on Happiness is Homemade. The challenge: Separate jelly beans from a bowl onto a color chart, so that all of the beans are on matching colors. The catch: You can only use chopsticks. Set-up: The color cards are the only thing you need to make here. You can either make one in Paint and print it out, or just use crayons and paper, it doesn’t have to be an exact match. Make it harder: Make players group by flavor instead of color, and use something like Bamboozle jelly beans . Head outdoors for this one, unless you don’t mind getting your living room soaked! The challenge: Get all of the plastic eggs off a platform and into a bucket. The catch: You can only use a dollar store water blaster (you know, the kind that needs constant refills and doesn’t squirt all that well). Supplies: Plastic Easter eggs, a simple platform (a table works well), a bucket to catch the eggs. Set-up: Set up the plastic eggs in the middle of the table (or other platform), then place buckets behind the table so that eggs can “roll” into them. Fill the blasters with water and give each player a bucket for refills. Make it harder: Players can only shoot their own eggs (assign colors for each). Use paint instead of water (just make sure it’s washable paint !) so you can see who shot what egg. The challenge: Move all of your jelly beans from one bowl to another. Supplies: Jelly beans, chopsticks . Set-up: Put jelly beans in one shallow bowl and place an empty bowl next to it. Give each player a set of chopsticks. No, I’m not going to challenge you to pick your nose. Ewww! 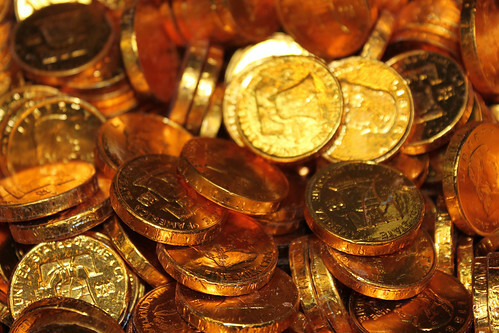 The challenge: Find all of the gold nuggets or coins in an Easter basket filled with plastic grass. The catch: You have to use a spoon or chopsticks to find the gold! Set-up: Bury the gold candy at the bottom of the grass, or mix it throughout. Give each player a basket and a spoon (or chopsticks). Make it harder: If you guessed “add a blindfold,” you’re catching on quick! This one comes from Creative Kids, but it’s perfect for all ages. The challenge: Balance as many Peeps as possible on a yard stick before time runs out. The catch: It has to be on the skinny edge of the stick! Supplies: Peeps , a yard stick. Set-up: Not much to do here. Just give each player a stick and a bucket of Peeps. Make it harder: Use different sized and shaped Peeps (they come in pretty much everything you can imagine these days!). Scary Cherry gets a festive twist by using jelly beans instead! The challenge: Swing a jelly bean into your mouth! The catch: The bean is attached to a string, and you have to get up enough momentum by blowing on it. Supplies: Jelly beans, string, something to attach it to. Set-up: Use a needle to push the string through the bean, then attach the string to something like a pole that two non-players hold, or a hat (see below). Make it harder: Attach the string to a ruler, then tape the ruler to a visor or baseball cap and make players wear the hat! If you’ve heard of the Minute to Win It Game “Caddy Shack,” you’ll know how to play this one. But wait, there’s a catch! Supplies: Raw eggs painted to look like hard-boiled Easter eggs. Set-up: Give everyone 10 eggs (4 for the base, then 3, 2, and 1 on top to make a pyramid). Don’t tell them that the eggs aren’t hard-boiled! Now that we have some fun Easter Minute to Win It games planned, let’s talk how to keep score. Print out and use the simple score card below (click on it to go to the PDF) or just use it for inspiration. Basically, when someone wins a game, they get a check mark next to their name under the game. The person with the most checks wins. If there is a tie, either repeat one of the most challenging games, or add in another tie breaker game to the mix. 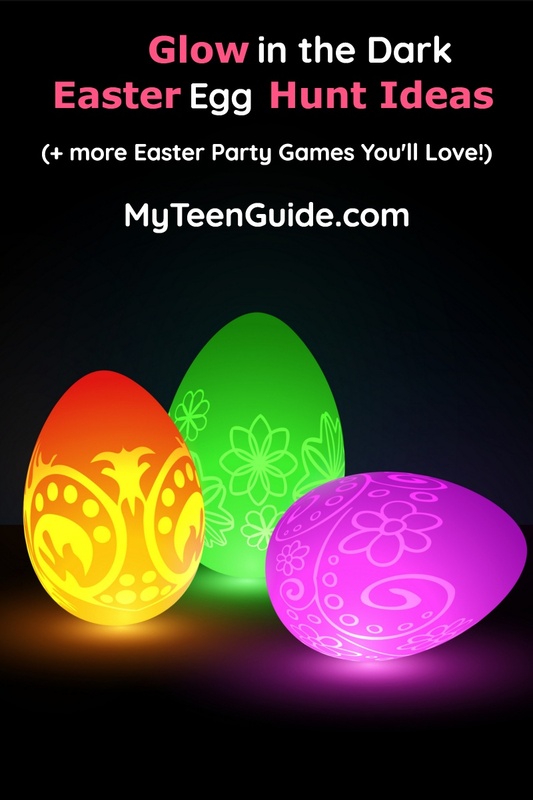 Along with your Easter Minute to Win It games, you’ll also want to plan one “main event” game. Read on for a few ideas! One of my favorite “main event” Easter party games takes place once the sun goes down! A glow in the dark Easter egg hunt is crazy simple to set up and doesn’t require anything more than, you guessed it, glowing eggs! For those, you can either buy glow in the dark plastic Easter eggs , or just put glow rings inside clear plastic eggs . Before the party, spend a little time defining your hunt area and hiding the eggs. Once the sun drops, send everyone out to find them! You can either hunt in teams or as individuals. The winner is, obviously, the player that brings home the most eggs. I recommend having one big prize for the winner, as well as putting little surprises inside the eggs. 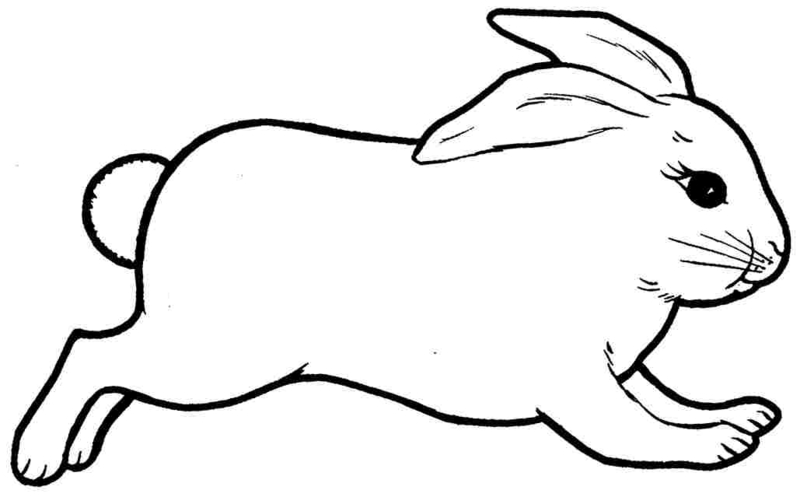 Print out two copies of a rabbit shape like this one. Color each one a different color (pink and blue, for example, if you want to go with Easter colors). Laminate it, or just cover it in saran wrap to protect it, since it’ll be outside all day. Hide each one on a different side of your yard (or, if you have woods behind your house, take advantage of those and hide them in a tree). Scavenger hunts are another favorite party game because you can customize your list for playing inside or outdoors. Make your list based on things in your neighborhood for a 100% free party game, or buy a few cheap supplies and hide around your hard (or mix and match!). To play, break guests up into two or three teams (depending on how many people are at your party) and send them out with the list. I love this idea because while it’s a “main event” game, it doesn’t take quite as long as some of the others, making it a good “arrival” game. Other decorating bits and baubles, like features, stickers, markers, little crafting rhinestones , bits of tissue paper, and so on. As guests arrive, send them to the egg decorating station to work on their eggs. Anything goes, except for one rule: their name must appear on the egg somewhere. 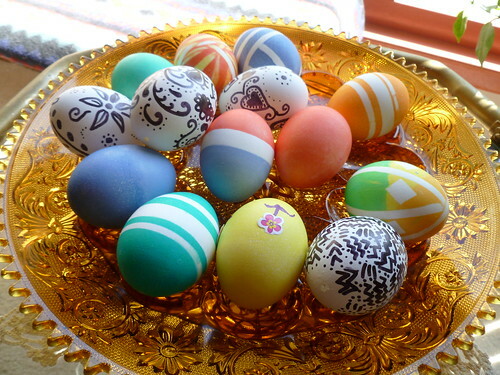 It’s up to you if you want to let guests decorate just one egg each, or do 2-3 and submit their best one for judging. Once upon a time, high schools sent kids home with an egg that they had to protect for a week so they could learn what it was like to have a baby. These days, I think they actually use robot babies or something, so I don’t know if anyone remembers the egg babies anymore! Each guest gets an uncooked egg “baby” with their name on it when they arrive. They’ll have five minutes to use supplies like toilet paper and paper tubes, tape, tissue paper, etc to create a “carrier” for their egg and attach it to their body somewhere. Their goal: keep it “alive” the longest! The person who breaks their egg last wins. While it sounds easy, remember, they’ll have to keep that egg safe through every party game and activity of the party! Between these Easter Minute to Win It games and the main event ideas, the hardest part about planning your bash will be deciding which games to use! Do you have any favorite Easter party games? Share below!